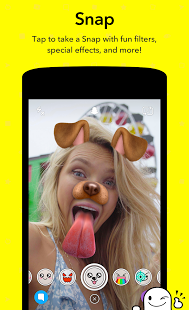 Stay in touch with your friends and family with the Snapchat app. This is a fun app to use that lets you share pictures and videos with friends and family. You can also send short messages or add captions with the images that you share. One of the things to keep in mind is that the images you share won't stay around for long, so the people who are looking for updates need to view them as soon as they can. You can add mustaches to the people in the pictures or other fun drawings. Select how long you want others to see the pictures you post, such as a second or 10 seconds. live.ly for android is officially out!